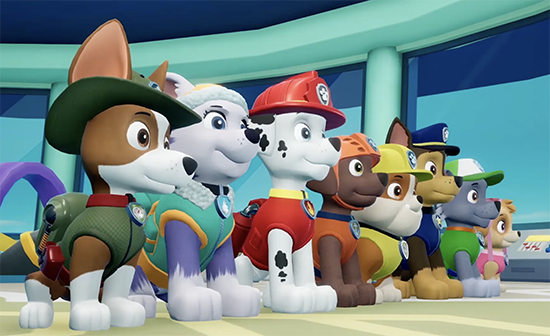 PAW Patrol: On A Roll includes 16 daring adventures featuring all eight of the beloved heroic rescue pups and Ryder. Players use each pup's unique abilities to rescue friends and keep their community safe. Eight awesome Adventure Bay locations to play in including Farmer Yumi's Farm, Jake's Mountain, a desert canyon, under the waves and more. Get ready for fun puzzle-platforming action with all the pups of the PAW Patrol that is PAWfect for kids of all ages. PAW Patrol: On a Roll will release on 26th October, 2018 for PlayStation 4, Xbox One, Nintendo Switch and PC. PAW Patrol: On A Roll, based on Nickelodeon and Spin Master Entertainment’s hit animated preschool series. PAW Patrol: On A Roll will be available on 26th October, 2018.